High speed photography is great for capturing the moment when two water droplets collide and make incredibly beautiful fluid impacts. The post Capture Incredible Water Droplet Impacts with a High Speed Camera Rig appeared first on Make: DIY Projects and Ideas for Makers. 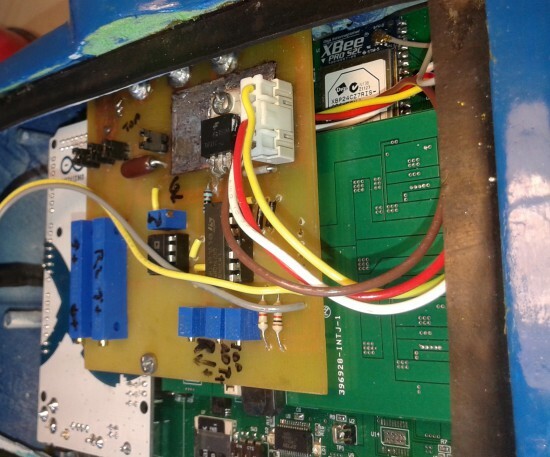 Scientists in Chile are turning foggy air into a reliable water source for nearby residents using a new sensor connected to Arduino Mega and XBee module. The project is called FogFinder and was developed by Richard LeBoeuf in collaboration with Juan Pablo Vargas and Jorge Gómez at the Universidad de los Andes. It’s a system to generate new renewable source of water for communities and reforestation through use of a probe and wireless communications technology to develop a liquid water flux map for fog harvesting. 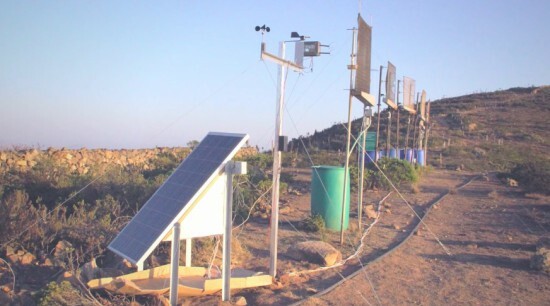 Fog collectors are common in arid climates in Chile where rain runs scarce and are typically installed on hillsides and remote areas where fog is abundant. The innovative part of the project lies in determining where to install these collectors, how to orient them, and understanding how efficient they are at collecting water from the air. 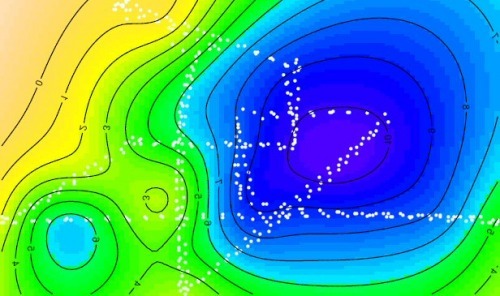 This can be done with a new type of sensor called the “Liquid Water Flux Probe” to measure the availability of water at current and potential fog collector sites. The sensor measures the liquid water content and speed of the fog and can be used to understand the optimal location and orientation for each of the collectors. “The primary function of the Arduino Mega is to simplify data collection and processing. The development team also made use of software libraries that simplified the use of sensors and API mode configuration for the XBee radios. 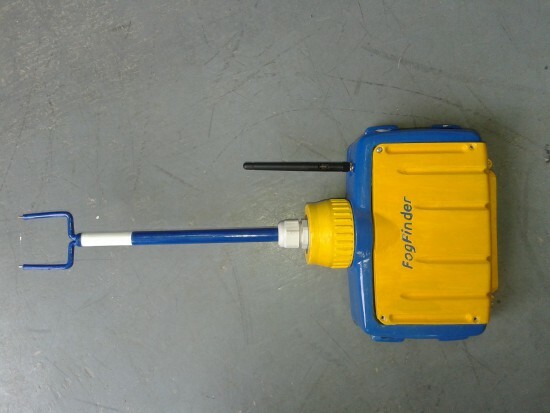 The FogFinder project has received support from the Universidad de los Andes through its Fondo de Ayuda de Investigación, Andes Iron – Dominga, and the Pontificia Universidad Católica de Chile. In 2014 it was finalist in the Wireless Innovation Project sponsored by the Vodafone Americas Foundation. 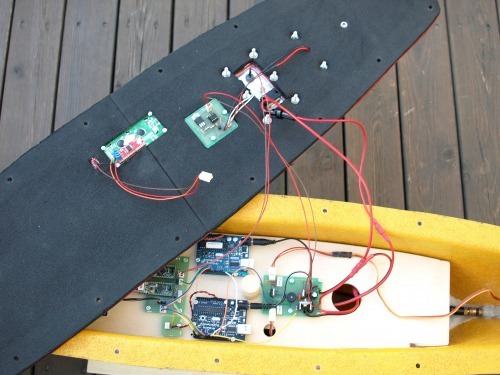 The purpose of this robot is to have it log water depths along a predefined set of waypoints. It stores its data on memory sticks or on SD cards. The estimated runtime is about 24 hours and with a top speed of 3km/h it will travel roughly 72km. 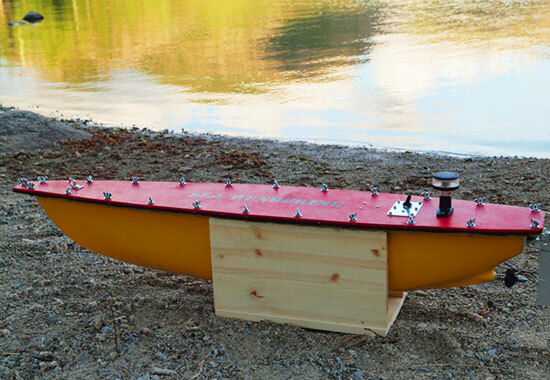 With a log entry for every 10m this would give us over 700 depth measurements with full GPS reference. Geir’s project page is hosted at Let’s Make Robots, a free and volunteer based initiative produced and maintained by members of the robot building community. You can have a look at the documentation and some of the illustrations showing the output of the measurements done at Lake Riskedalsvatnet in Norway.